A design full of movement, dynamism, and Artifort DNA. Gemini comprises two asymmetrically-designed seat elements and a small matching table. This offers plenty of scope for variation. Combine mirror images or identical twins, and experiment with numbers and colours. Position Geminis with their ‘backs’ against each other, or so that the people using them can look at each other. Create a sitting environment in a wave formation: ideal for waiting rooms, lounges, lobbies, and libraries. 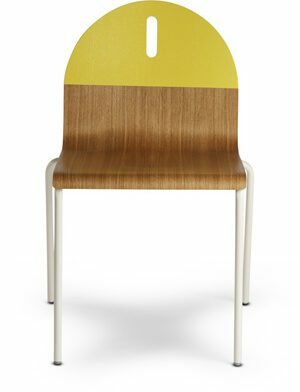 The Gemini can be upholstered in four different ways, in one or two colours. When opting for two colours, there is also the choice between top/bottom upholstery and inside/outside upholstery. There’s no shortage of options! Please note: Gemini is available in a variety of upholstery combinations upon request. The version offered here consist of a single upholstery material for the entire shell.